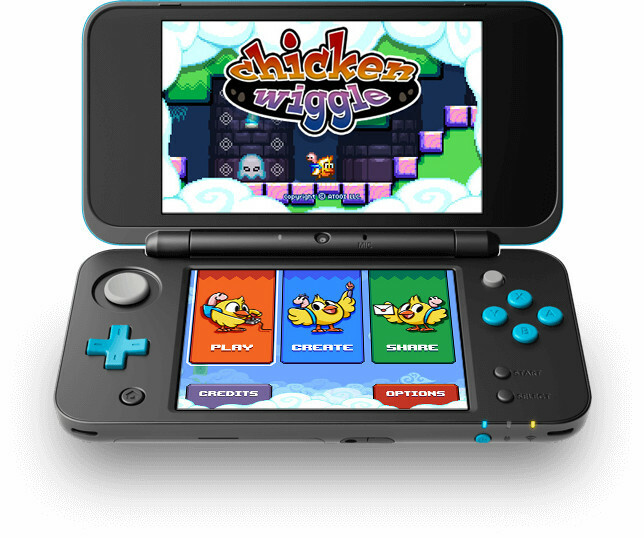 One would be forgiven for mistaking Chicken Wiggle for a mere Mutant Mudds clone. After all, it has the same artist, the talented Jools Watsham, as well as others from Renegade Kid, now under the umbrella of newly founded Atooi. It also shares a retro aesthetic with the platformer series (as the title screen says, retro roots, modern mojo). 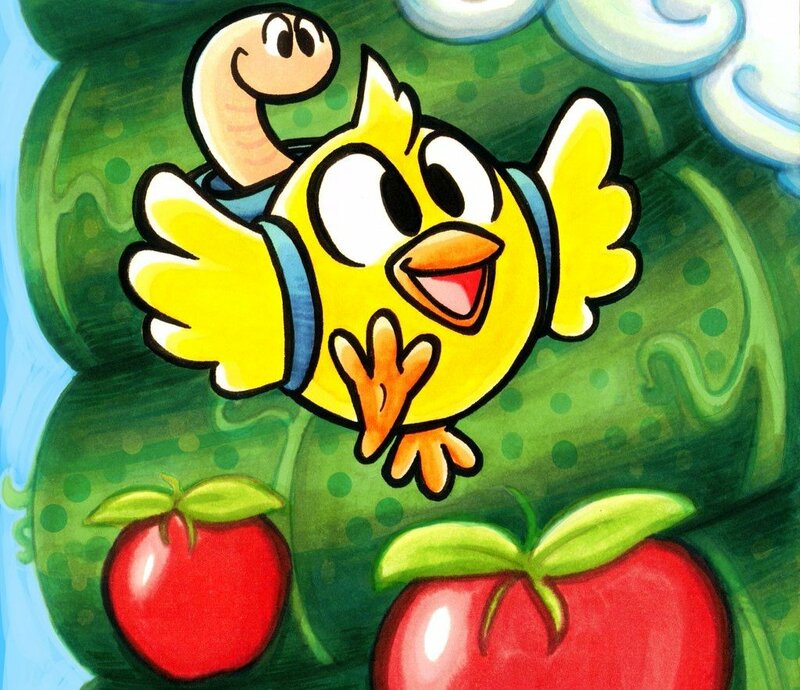 However, I can say with confidence that, despite some passing similarities, Chicken Wiggle is very much its own game. The only question then is, how enjoyable of a game was it? 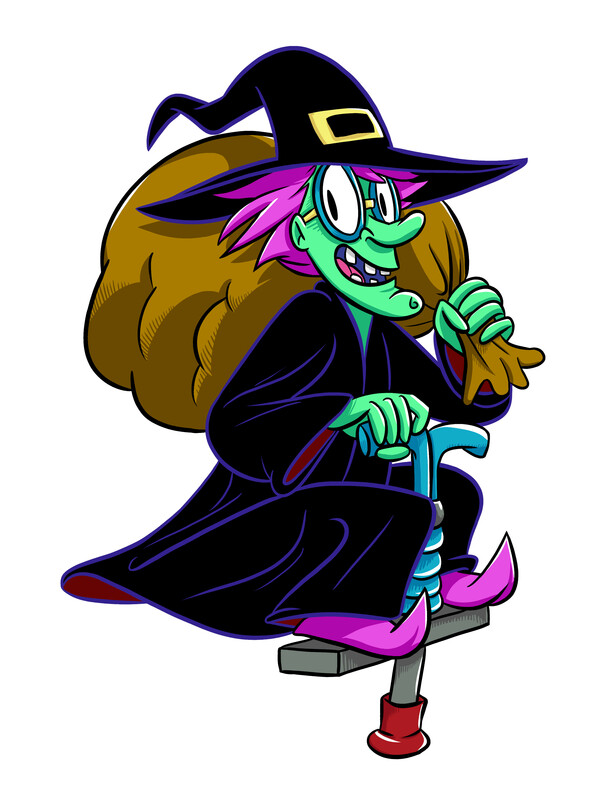 The game starts simply enough, with a crazed witch astride a pogo stick (which I wish was incorporated into the epic boss fight) capturing chickens for some unknown reason. As she hops up a beanstalk towards a tower in the clouds, one of her captives drops free from her bag, and happens upon a lone worm. 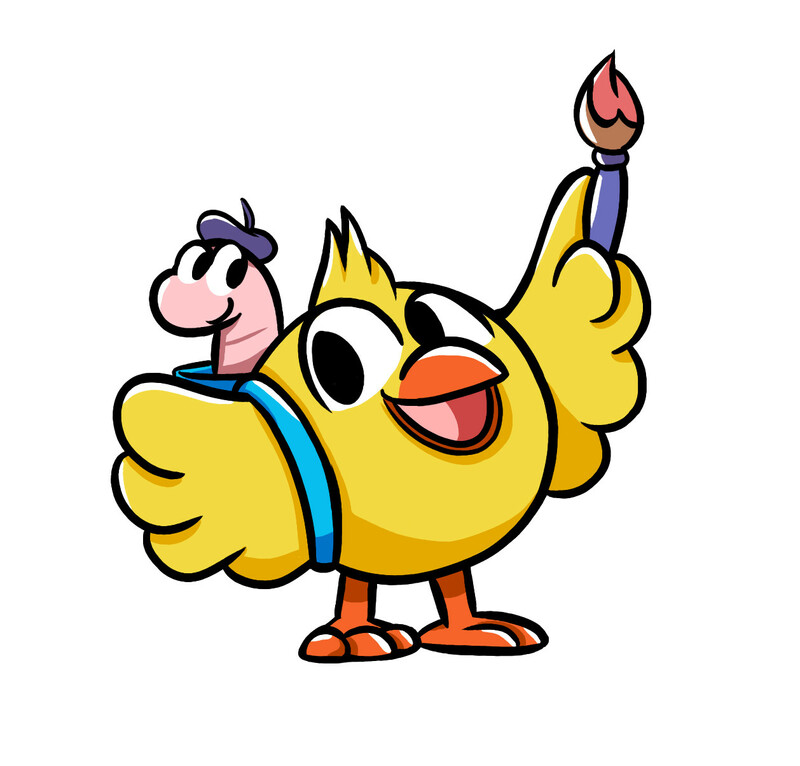 These are the titular heroes Chicken and Wiggle, and instead of turning upon each other, they defy the natural order and team up to rescue the captured fowl. It’s simple, and it’s really all the motivation or plot you’ll need. Unlike the simple premise, the combat is surprisingly nuanced. 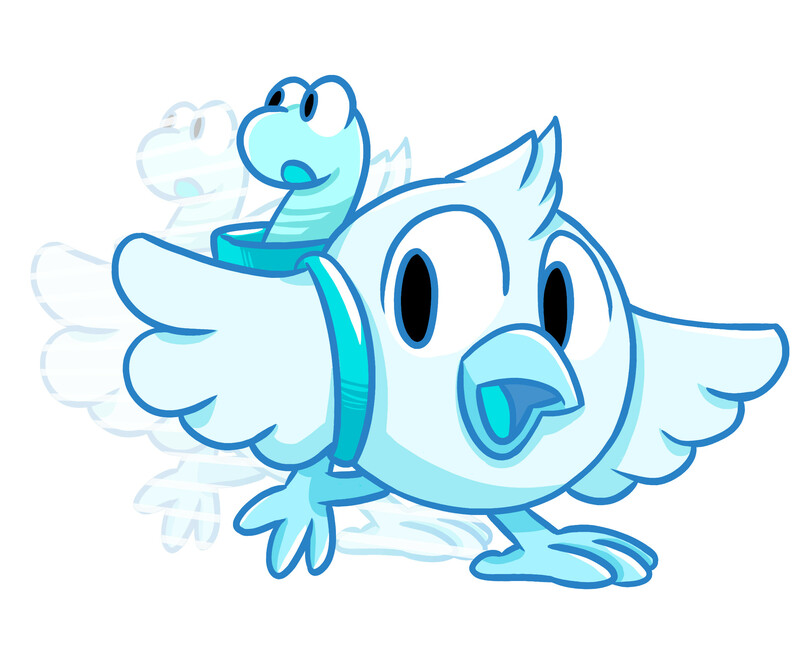 If Chicken was by himself, all he could do is hop and peck at foes right next to him, but with the aid of Wiggle in his backpack, all sorts of new options appear. Much like a proper Belmont, Chicken can whip his worm ally at anything in his path, opening up grappling options and temporarily stunning enemies. Pretty much any flat surface can be grappled to, with one small proviso – you can only extend Wiggle four blocks in any direction, and while you can hang from the ceiling forever, grappling to horizontal platforms will move you right to them and then drop you. Though things start pretty simply, you’ll quickly find yourself grappling to the ceiling to avoid invincible foes, whipping disappearing blocks in mid air, and all sorts of other crazy maneuvers. That’s before you take into account all the devices and costumes which mix things up. While there are too many to list, an example of a device is a hot air balloon, which takes you 10, 20 or 30 spaces before dropping you, or the accordion like block which, when whipped, extends towards you, and is pushed backwards by your pecks. As for the costumes, there’s a handful, but my favorites had to be the Demo Hat, which lets you break anything with your tiny beak, and the Jet Pack, which lends you a handy double jump. The game regularly introduces more items and hazards as you progress, and before you know it, a game that starts out very easy becomes surprisingly challenging. 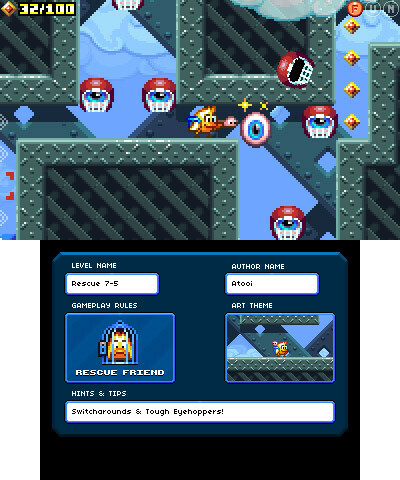 The world of Chicken Wiggle is split into 8 areas, all with a different theme (Cloud, Treetop or Slumber, for example), composed of 5 standard levels and 1 Ghost level (much like in Mutant Mudds, these were especially clever). While all you technically have to do in order to beat a level is find and rescue the caged chicken ally at the end of each stage, you’re provided replay value in the form of collectible golden diamonds and letters which spell out FUN. I admit I was initially disappointed to discover that collecting all the items doesn’t serve to unlock anything, which is always a bummer. However, this didn’t bother me much for a couple of reasons. First of all, I still appreciated the extra challenge that went into finding all the hidden collectibles in each stage, and for another, Chicken Wiggle’s Level Editor more than made up for any lack of bonus stages. 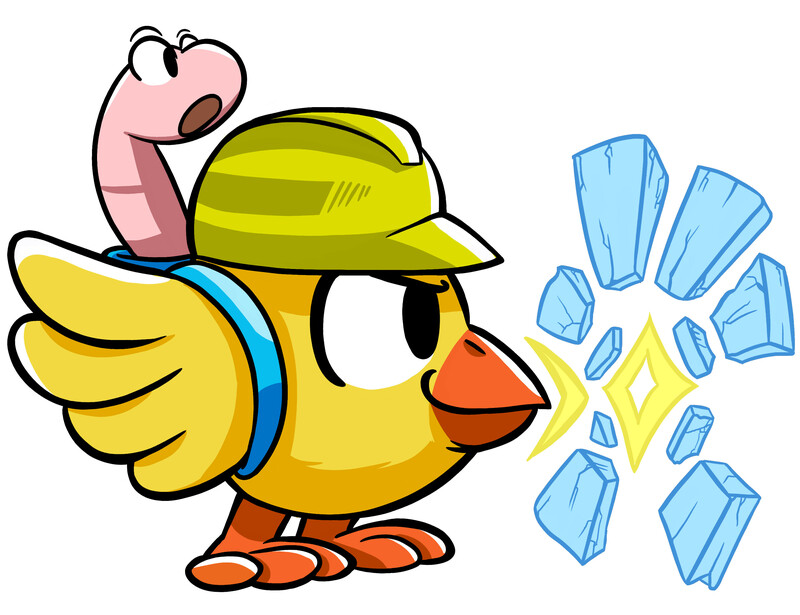 Quite frankly, the Level Editor is what makes Chicken Wiggle well worth that $14.99 price tag. While the base game is good, the challenge and longevity will vary from person to person. I probably could have beaten the game in 5 hours or less and felt a little underwhelmed, but the Level Editor kept me coming back again and again. It’s a stroke of genius to incorporate such a robust and intuitive feature in a simple platformer, but I’m very glad Atooi did. All it requires to make a level is a stylus, a sense of creativity, and a willingness to drag and drop items from folders. 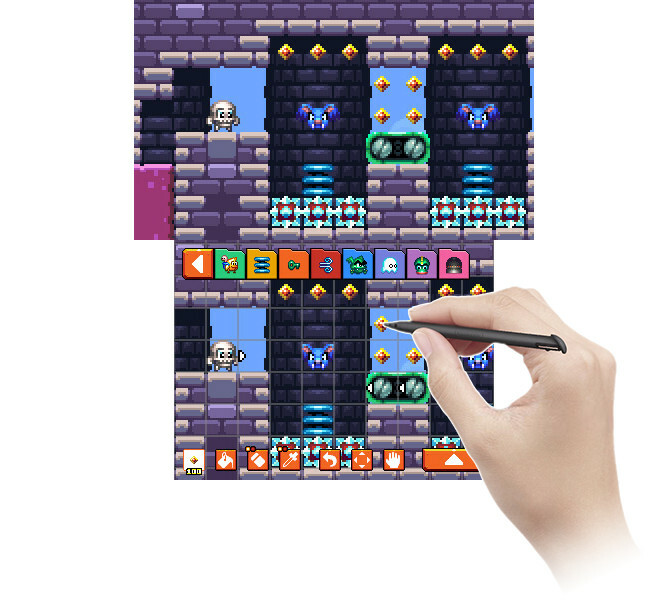 Though it’s on a smaller scale, it’s no exaggeration that it plays much like Super Mario Maker. I instantly grasped how to use the Editor, and while I was surprised by some items which don’t appear in the main quest and perplexed by the function of a couple others, I was happy (and even a little overwhelmed) by the bounty of design choices. Not only can you you make any level you want on a huge canvas, you can also choose what sort of objective governs it. While you’re more than welcome to make levels where your only goal is to rescue your buddies, you can also make levels where you have to collect all the diamonds, find a key to escape, or even levels where the goal is to find and destroy all the foes. Once you’ve created a stage, you have to beat it yourself and then you can share it with the world. The possibilities are endless, and I’m very happy to hear we’ll be getting more official Atooi levels uploaded after the launch of the game. 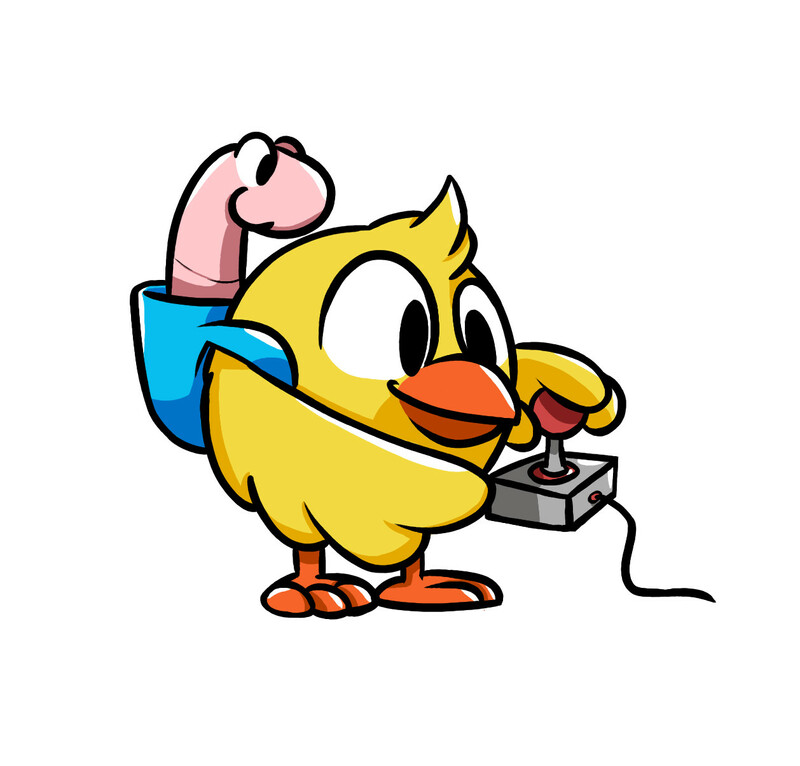 If you like user generated content, you’ll be playing Chicken Wiggle for a long time after you beat the main game. While I encountered no bugs or glitches in my 9 hour playthrough, I did have one minor complaint and a couple of curiosities. While I love the Level Editor, I do wish you could open up levels you’ve beaten in the Editor, just to see how they were built and to better emulate Atooi and other creators’ smart design. But perhaps that was a programming hurdle that I can’t appreciate fully. Another thing I noticed was that enemies on screen freeze when you swing Wiggle, and stay frozen until he returns to you. At first I thought something was wrong, but quickly realized it was an intentional design choice. It was just strange that the game didn’t explain it when it demoed the control basics. Another oddity was that, in addition to pecking in the four cardinal directions, you can also peck the screen. Yes, Chicken Wiggle breaks the 4th wall (kind of). While it’s true I didn’t utilize the 3D much during my campaign, I did turn it on just to see how it looked while pecking the screen, and got a laugh out of it. That sort of quirk adds a lot of charm to the experience, much like the game saying “Eggcellent!” every time you beat a stage. Some fun levels let you turn ghostly so you can fight bad spirits! As far as the visual design, I was really pleased with the game. The pixel work is fantastic, displaying a colorful, cartoony world full of flying catbats, football helmet wearing eyeballs and all sorts of other delightful nonsense. Though the game perhaps skews a bit toward the younger audience, there’s still a lot to enjoy for the young at heart. On the topic of sound, my opinion changed depending on which world I was on. Each theme has a different soundtrack, and while I really liked some, such as Dusty Old Tower and Tubular Tower, others didn’t quite resonate with me or felt too low energy. The sound effects themselves suited the action, and never outstayed their welcome. They may not have wowed me, but they also didn’t detract from my experience. In the end, I was very happy with Chicken Wiggle. While comparisons to Renegade Kid’s previous works are unavoidable, I felt it differentiated itself enough and more than made up for any deficit with the expansive Level Editor. While it’s true I was a little disappointed by the total lack of unlockable content, I found myself drawn into this strange new world, and desperately hoping for a bigger and crazier sequel. Atooi has proven it still has that magic touch when it comes to retro styled platformers, and I hope this is just the first of many successful new games. Now if you’ll excuse me, I have more levels to make!